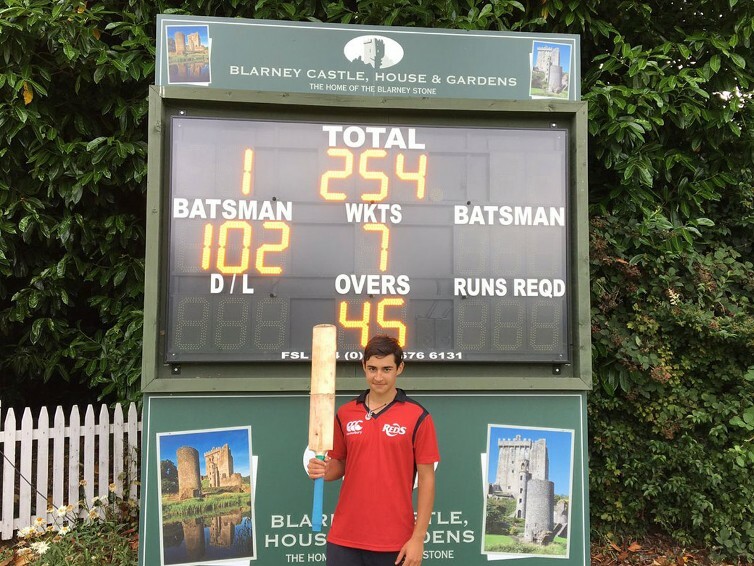 Limerick's Kaasim Alam continued his fine form with a century (102) against Leinster U15 to guide Munster to an unassailable 2-0 lead in their Tri-Series at the Mardyke. The Munster boys were coming off the back of a hard fought 11 run victory in the T20 opener the previous evening and looked to take the series with a second win in their 45 over encounter at the Mardyke. A century from opener Kaasim Alam (102) and a half century from Isaac Whitaker (52*) saw the Munster side to an extremely competitive target of 254-8. In replay the Leinster innings never gained any real momentum besides their impressive middle order batsman De Klerk with 51*. With the ball Diarmuid Carey (2-30) and Kieran O'Reilly (2-42) were the standout bowlers restricting the visitors to just 186.